Greenhouse Gas fueling the 2018 Flu Epidemic? The EPA has funded many research grants regarding Carbon Dioxide Emissions and Greenhouse Gasses (1970 to current). Here is what we know: Between March and October, (warmer outside temperatures) exhaust from Hydrocarbon Power Generation Plants goes into the upper atmosphere creating greenhouse gases. However, during the winter months, these gases do not rise with heat but rather settle with cold air to low areas on the surface of the earth. These gases then seep into homes while we are asleep (low metabolic rate). The gases are at unpredictable levels and are next to impossible to measure as they are constantly mixing with surface winds. If you have a carbon monoxide detector (catches many gases like hydrogen also) that seems to create false alarms, then you’re possibly in a low area on the surface near hydrocarbon energy production, sewer treatment plant ( methane, ammonia and hydrogen sulfide) or you’re charging large golf cart batteries. If these gases replace the oxygen in our blood with high-level carbon dioxide it can cause, plaque builds up in your arteries, allergy symptoms, suppressed immune systems and finally spreading the flu! Please do your own research! This is ours and it’s not intended to be hard facts as the information comes from many websites over 20-30 years! We should limit public gathering/education during November, December, January, and February (specifically the very young, elderly and people with suppressed immune systems). Public schools should not have summer vacations, but winter vacation instead as we are past the plantation days with children helping in the harvest. Employees and students who use the internet should work from home. We should educate schools, daycares, and cities about air quality. We should enforce current HVAC codes in occupied buildings. Indoor / Outdoor air quality should be in the minds of the population via all media outlets. We should provide air quality education for high school students. Educators taking small children outdoors without checking the current air quality should be held accountable. Hydrocarbons should be 20% of our electricity production while 80% should be renewable. Finally, adopt nation-wide residential/commercial solar incentives as this does not require more tax dollars to improve existing grids. These incentives should be funded by a federal hydrocarbon tax that does not run out of funding. 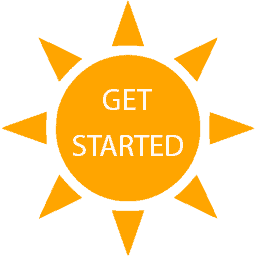 Get your solar panels installed in Texas by the 1999 Renewable Energy Pioneer GET STARTED!